Ian Duncan studied at King's College, Cambridge (B.A., 1977) and Yale University (Ph.D., 1989), and taught for several years in the Yale English department, before being appointed Barbara and Carlisle Moore Distinguished Professor of English at the University of Oregon in 1995. He came to Berkeley in 2001, and was appointed to the Florence Green Bixby Chair in English in 2011. He is a recipient (2017) of the university's Distinguished Teaching Award. 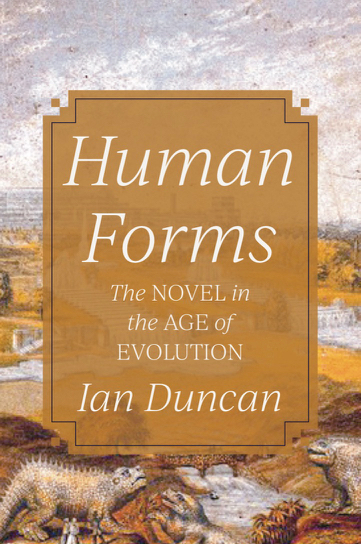 Duncan is the author of Modern Romance and Transformations of the Novel (Cambridge, 1992), Scott's Shadow: The Novel in Romantic Edinburgh (Princeton, 2007), and a new book, Human Forms: The Novel in the Age of Evolution (forthcoming from Princeton University Press, fall 2019). He is currently writing a short book on Scotland and Romanticism. Fields of research and teaching include the theory and history of the novel, British literature and culture of the long nineteenth century, Scottish literature, literature and the natural sciences, and literature and other storytelling media (opera, film). Duncan is a Corresponding Fellow of the Royal Society of Edinburgh, a member of the editorial board of Representations, a General Editor of the Collected Works of James Hogg, and co-editor of a new book series, Edinburgh Critical Studies in Romanticism. He has held visiting positions at the Universities of British Columbia and Konstanz, Boğaziçi University, LMU Munich, and Princeton University. "Scott, Scotland and Romantic Nationalism": special issue of Studies in Romanticism (40:1, Spring 2001). Co-edited with Ann Rowland and Charles Snodgrass. Scotland and the Borders of Romanticism. Co-edited with Leith Davis and Janet Sorensen. Cambridge University Press, 2004. Arthur Conan Doyle, The Lost World. Oxford University Press, 1995, 1998. Walter Scott, Ivanhoe. Oxford University Press, 1996. Walter Scott, Rob Roy. Oxford University Press, 1998. James Hogg, Winter Evening Tales: Collected among the Cottagers in the South of Scotland. Edinburgh University Press, 2002; 2004. Travel Writing 1700-1830: An Anthology. Co-edited with Elizabeth Bohls. Oxford University Press, 2005. James Hogg, The Private Memoirs and Confessions of a Justified Sinner. Oxford University Press, 2010. "Walter Scott and the Historical Novel," The Oxford History of the Novel in English, Vol. 2, English and British Fiction 1750-1820, ed. Peter Garside and Karen O'Brien. Oxford University Press (2015), 312-331. "History and the Novel after Lukács." Novel: A Forum on Fiction, 50: 3 (2017), 388-96. My new book Human Forms: The Novel in the Age of Evolution is currently in production and should be appearing next fall (2019). A major rethinking of the history of the novel as well as the cultural impact of evolutionary science before Darwin, Human Forms is the first book-length critical study of the interaction of European fiction with natural history and philosophical anthropology from the late Enlightenment through the mid-Victorian era, when the ascendancy of realism coincided with the rise of evolutionary theory. Novelists claimed human nature as the scientific basis of their art at the same time that the human species became the subject of the new natural history and an organic transmutation of forms and kinds. A supposed aesthetic disability, lack of form, now equipped the novel to model the modern scientific conception of a developmental – mutable rather than fixed – human nature. The principle of development, invoked at first as a uniquely human property, subverted the exception it was meant to save once evolutionary science applied it to the whole of nature. The novel became the major experimental instrument for managing the new set of divisions – between nature and history, individual and species, Bildung and biological life – that replaced the ancient schism between animal body and immortal soul. Chapters consider the rise of Enlightenment philosophical anthropology; the new Romantic genres of the Bildungsroman and the historical novel; the investment of historical romance with Lamarckian evolutionism; Dickens’s transformist aesthetic and its challenge to the anthropomorphic techniques of Victorian realism; high realism, “species consciousness,” and the science-fiction turn in major novels by George Eliot. My current work in progress is a short book, Scotland and Romanticism, for Cambridge University Press. It will offer a critical overview of Scotland's long Romantic century, from Enlightenment projects of the human sciences and revivals of indigenous poetry to Scott's late novels and Carlyle's French Revolution. Part I explores the genres and institutions of Scottish Enlightenment and Romantic-period writing; Part II examines a series of case studies according to representative topoi: the lost nation, popular festivity, world literature, the fanatic.